A vintage wedding theme is the perfect way to achieve timeless style and elegance on your big day. And if you’re looking for inspiration, look no further. 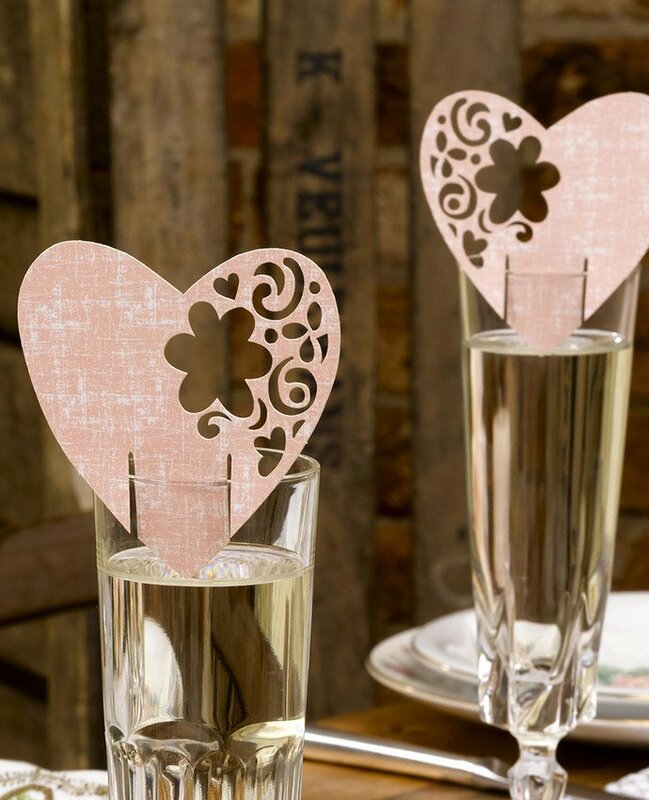 We’ve put together our favourite vintage wedding ideas, taken from our collection of With Love wedding supplies. 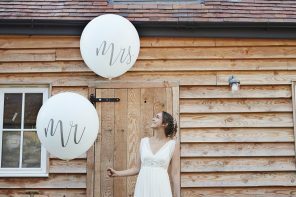 Read on for vintage decorations, favours and everything you need to make your vintage wedding special. The perfect vintage wedding starts with the perfect venue. Choosing a rustic-style venue is a great place to start (i.e. somewhere that already has rustic tables, chairs, exposed brick walls, etc). Then all you’ll need to do is add some simple vintage decorations. 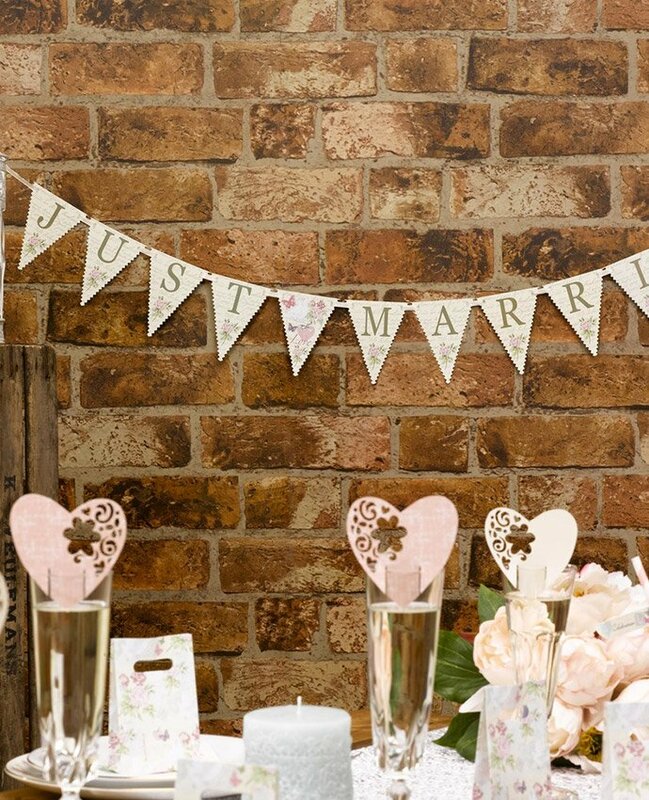 We particularly love how this vintage-style just married bunting looks against exposed brick! Wooden fold-up chairs work like a charm at a vintage wedding. 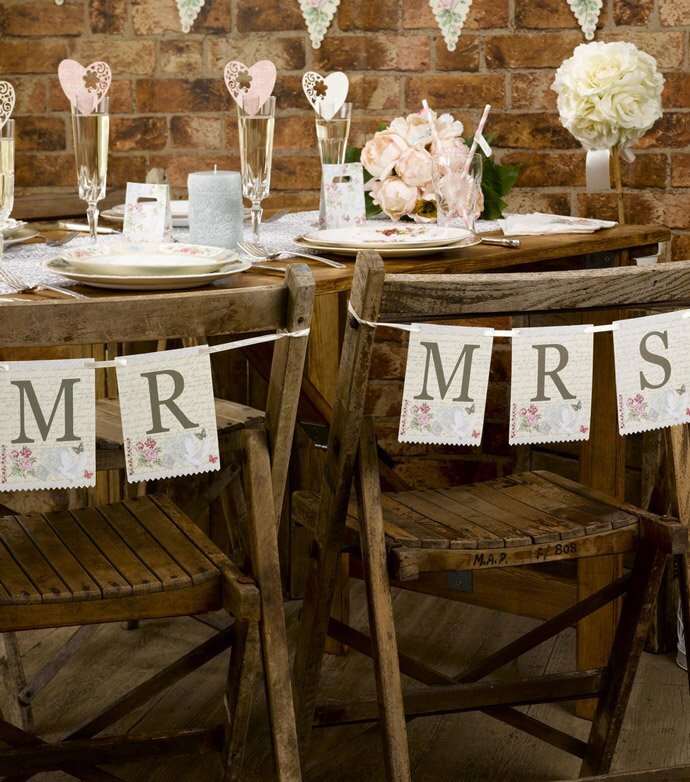 And they’ll look even lovelier with this Mr & Mrs chair bunting on the back of the bride and groom’s chairs at the top table. The perfect way to add a vintage touch! 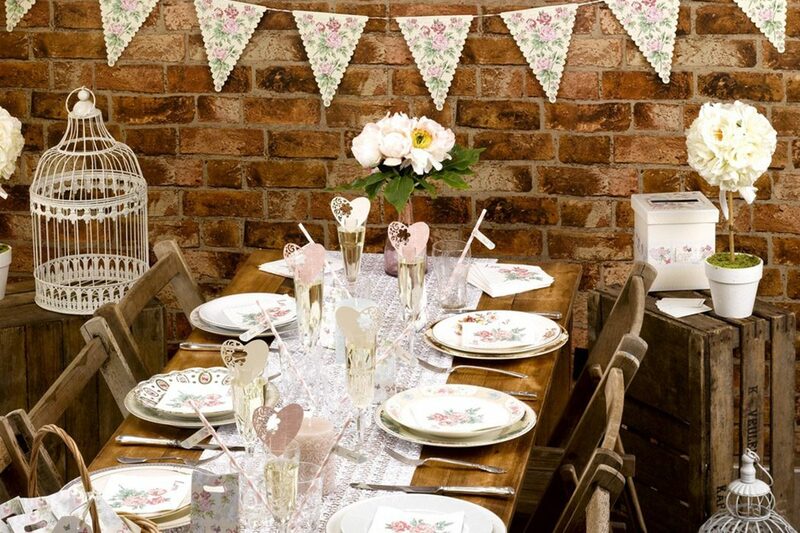 Another way to add a vintage flair to your wedding is through table decorations. 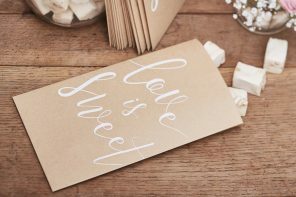 Take these gorgeous place cards that will look stunning on the edge of your wine glasses. Keep your vintage table decorations simple to add to the elegance of this beautiful wedding theme. Matching your favours to your theme is a lovely touch. 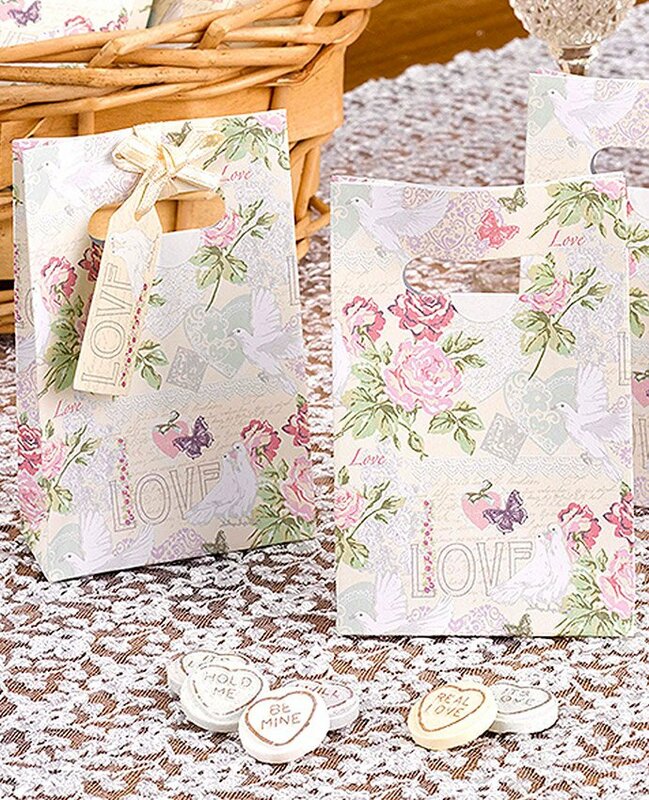 And we particularly love these vintage wedding favour bags – and they’re just the right size to fit a small treat or gift. 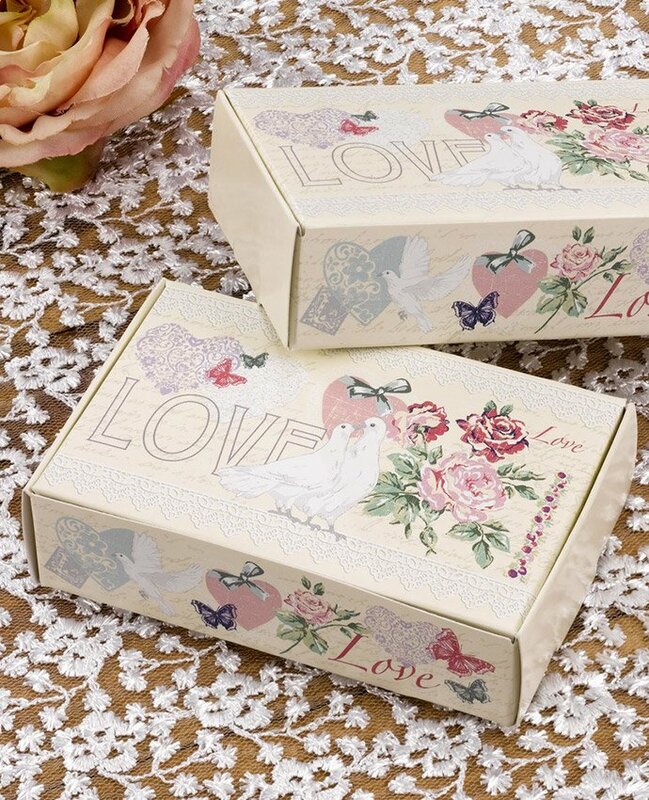 Or how about these cute vintage favour boxes? They’re just the right size for a slice of wedding cake! 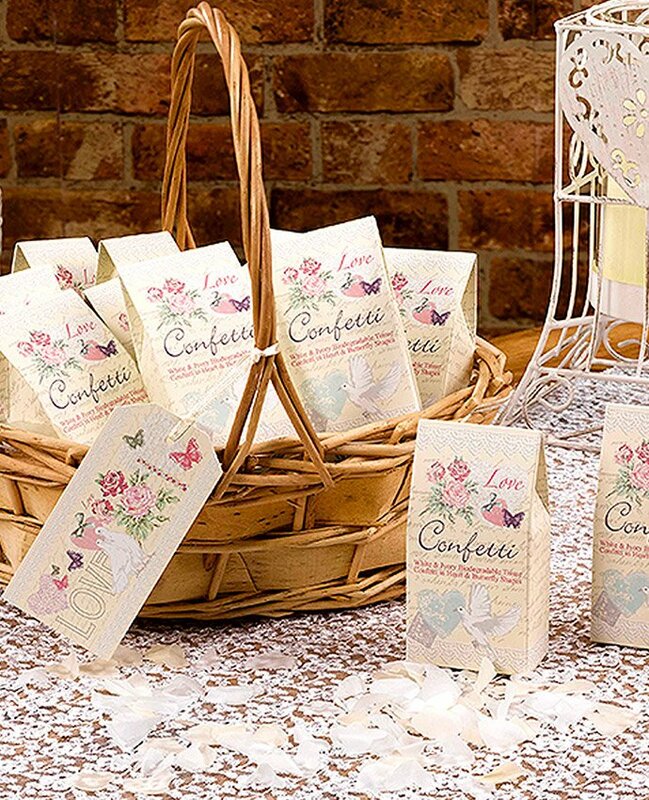 It goes without saying that weddings require confetti! 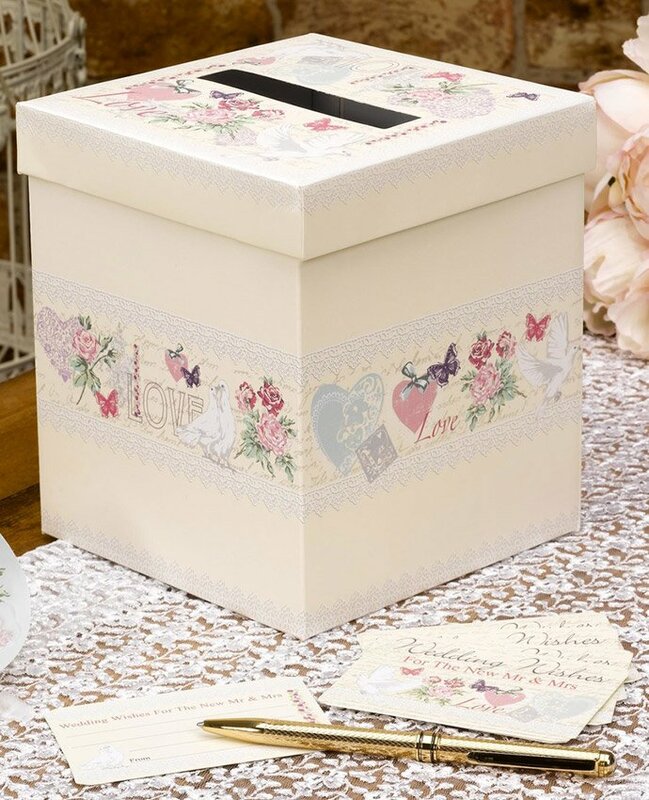 And a basket is a lovely vintage-style way to display it before the confetti throwing commences! 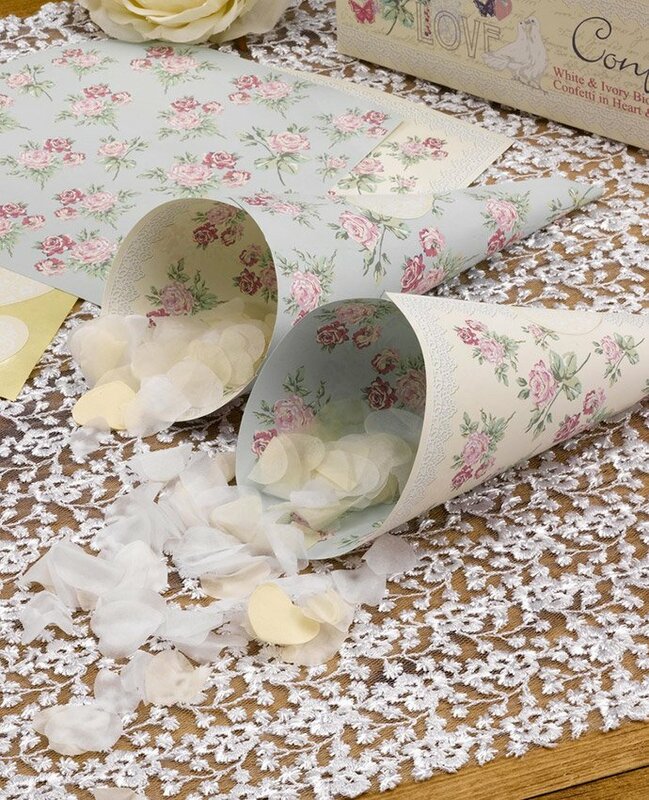 Before the confetti throwing, transfer it into these cute vintage confetti cones – one for each guest! 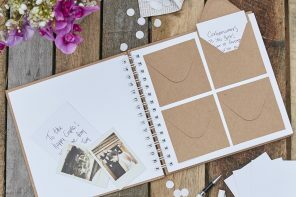 Don’t forget a guest book – the perfect way to record memories of your vintage wedding! 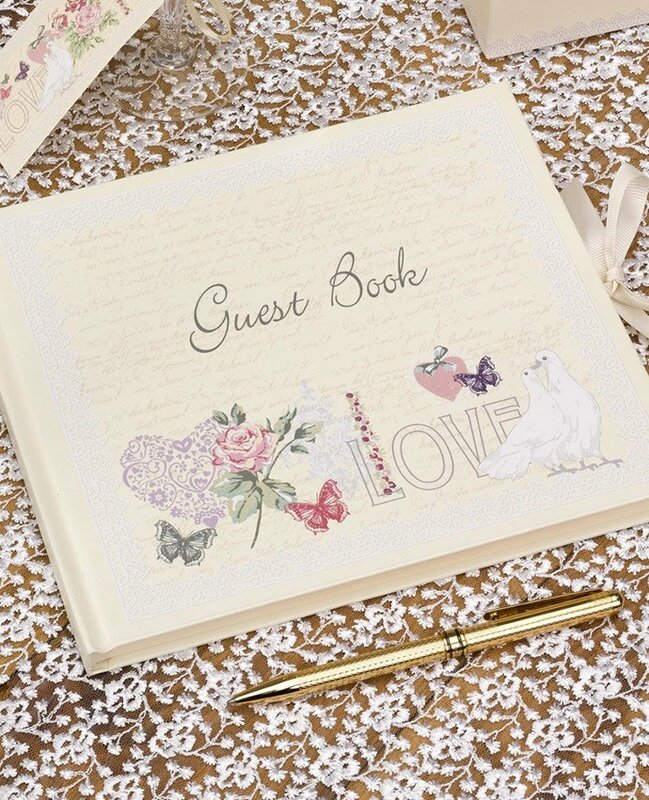 This beautiful guest book from our With Love wedding supplies would be perfect. Last but not least, make sure you have a lovely post box to collect any cards you receive on the day. This one would match your vintage theme perfectly!